Famous now for nearly 100 years in Morley Market. The Sadler Family have been selling home cured bacon and ham, cured to a secret recipe th at has been in the family for 100 years. That is why we can guarantee it not to be salty. We have offers on prepacked gammon rashers buy 2 get 3rd free (cheapest free). 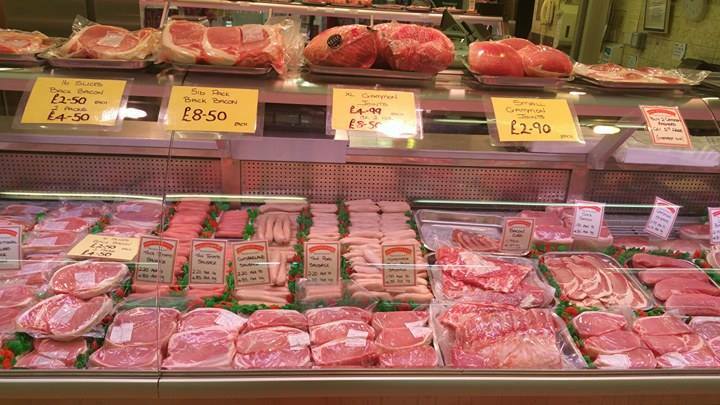 XL gammon joints £4.99 each or 2 for £8.50, 5 lb back bacon for £8.50, 16 slices of bacon £2.50 each or 2 for £4.50. Small, now salty gammon joints only 2.90 each. Stay up to date on the market Facebook page.